Board members are elected for an initial period of three years with the board refreshed over this three year period. 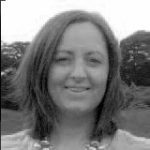 Dr Sinéad Harney graduated from UCG in 1994 and did her specialist training in Rheumatology and General Medicine in Dublin. She completed her training in Oxford in 2005 and was awarded a DPhil by thesis titled “Major Histocompatibility Genetics of Rheumatoid Arthritis”. She was appointed to a Consultant Rheumatologist post in Cork University Hospital in 2005 and has worked there since. She completed a Masters in Sports and Exercise Medicine in UCC in 2007. Her research interests include – Genetics of inflammatory arthritis and occult cardiovascular disease in Rheumatoid Arthritis and she has over 90 publications. She is currently the treasurer of the Irish Society of Rheumatology and a board member of the TUE committee of the Irish Sports Council. 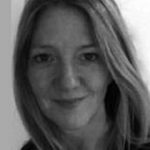 Consultant Rheumatologist, Ulster Hospital, Belfast Dr Clare Matthews graduated from Queens University Belfast in 1994. She completed registrar training with CCT in Rheumatology and general medicine in 2007. She completed an MD “Clinical, genetic and immunohistochemical findings of early inflammatory arthritis” from The Queen’s University, Belfast in 2004. She trained in Belfast with a period of training in St Vincent’s University Hospital Dublin through her research interest in synovial disease. Dr Matthews was first appointed as a consultant in Belfast City Hospital and moved to her current post in The South Eastern Trust in 2009. Dr John Ryan is a graduate of the Royal College of Surgeons in Ireland, he completed his higher medical training in rheumatology and general internal medicine in Ireland. He undertook a fellowship at the National Institute of Arthritis and Musculoskeletal and Skin Diseases (NIAMS) in Bethesda, Maryland. During this time he undertook translational research into disordered innate immunity manifesting as recurrent fever syndromes. He joined Dr Sinead Harney in the Rheumatology service at Cork University Hospital in 2010. The Rheumatology department has since expanded to include Dr Grainne Murphy. In July 2017 he took up the post of National Specialty Director for Rheumatology. 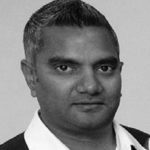 Shawn Chavrimootoo is a Consultant Rheumatologist at Our Lady’s Hospital, Navan, Co. Meath. He graduated in Medicine from RCSI, Dublin in 2002 and developed an interest in Rheumatology during his Senior House Officer years in Connolly Hospital, Blanchardstown. Following this, he completed higher specialist training in Cork University Hospital, Kerry General Hospital, Connolly Hospital and St Vincent’s University Hospital in Dublin. He was appointed to his Consultant Rheumatologist post in 2013 when he joined Dr Ramakrishnan at Our Lady’s Hospital, Navan, from where they currently provide a regional Rheumatology service for the North East of Ireland. His clinical interests include osteoporosis as well as gout, inflammatory arthritis, spondyloarthritis, connective tissue disease and vasculitis. Associate Professor Suzanne Donnelly is a consultant rheumatologist at the Mater Misericordiae University Hospital Dublin & Associate Dean (Education) in UCD School of Medicine. She is a graduate of Trinity College Dublin and trained in Dublin and Oxford before being appointed consultant rheumatologist at St. George’s Hospital and Medical School, London in 2002. Her clinical interests include systemic autoimmune disease, Systemic Lupus Erythematosus and pregnancy in the rheumatic diseases . 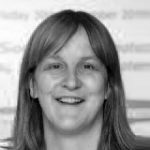 Suzanne has held academic posts in medical education since 1996 including in Trinity College Dublin; the University of Oxford and in London. She joined UCD as Director of Clinical Education in 2008, and was appointed Associate Dean, UCD School of Medicine in 2017. In partnership with Arthritis Ireland , she initated a patient educator programme to enhance medical students’ education in rheumatological disease. The programme has enabled over 2000 medical students to meet patients with arthritis first hand. Suzanne is rheumatology author for the medical textbook Medicine at A Glance and a contributing author to The Rheumatology Handbook. She was ISR nominee to the board of Arthritis Ireland (2008-13), a board member of Raynauds and Scleroderma Ireland (2007-10) and medical patron of Lupus Group Ireland. 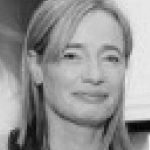 Professor Ursula Fearon is head of Molecular Rheumatology, School of Medicine, Trinity Biomedical Sciences Institute, Trinity College Dublin. Professor Fearon’s research is a bench-to-beside translational approach, focusing on understanding the underlying mechanisms that drive disease pathogenesis; her team specifically examine components of joint inflammation at a cellular and molecular level to dissect out the signalling and gene pathways that are involved in the pathogenesis of inflammatory arthritis and rheumatic diseases. She has established strong collaborative research networks across Europe, USA and Singapore. Professor Fearon, has been awarded significant research funding from Arthritis-Ireland, Health Research Board, Science Foundation Ireland, IRCSET, European-ASPIRE, JU Innovative Medicines Initiative (IMI) and Maeve Binchy Funding for Arthritis Research, in addition to industry collaborative partnerships. She has published extensively in high impact peer-reviewed journals, and her research has been awarded several National/International awards. Dr Orla Killeen qualified from UCG (NUI) Galway in 1996. She trained in General Paediatrics in Our Lady’s Hospital for Sick Children, Crumlin and in Temple Street University Hospital, Dublin before subspecialising in Paediatric Rheumatology. 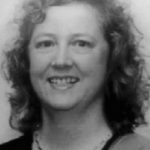 She undertook her paediatric rheumatology training at Great Ormond Street Children’s Hospital, London and went on to complete a Barbara Ansell Fellowship in Paediatric Rheumatology in the Royal Hospital for Sick Children, Glasgow. She was appointed as Ireland’s first Paediatric Rheumatologist in 2004, and is based at Our Lady’s Children’s Hospital, Crumlin and St Vincent’s University Hospital, Dublin since July 2006. She is the Clinical lead for the National Centre for Paediatric Rheumatology (NCPR), providing care for patients both on a local and national level up to 18 years of age. Her areas of interest include Adolescent Rheumatology Transition Care as well as JIA, Down’s arthropathy and AutoInflammatory syndromes. Dr Bernadette Lynch graduated from the Royal College of Surgeons in Ireland in 2003. 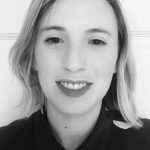 She completed her higher specialist training in Rheumatology and General Medicine in 2013 having worked and studied in Dublin, Galway and London. She was awarded an MD from University College Dublin in 2011 for work on IL-22 and musculoskeletal ultrasound in Inflammatory Arthritis. 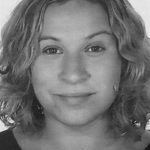 She undertook a fellowship in Scleroderma and Vasculitis at the Royal Free Hospital Hampstead under Professor Chris Denton and Dr Aine Burns. 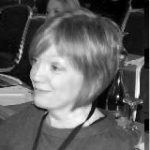 During this time, Bernadette was part of the UK Scleroderma Study Group (UKSSG) which developed the national guidelines on the management of complications of Scleroderma. She took up her current appointment as Consultant Rheumatologist and General Physician in University Hospital Galway in 2015. Her principal clinical and academic interests are Scleroderma and Inflammatory Arthritis. Dr Adrian Pendleton is a Consultant Rheumatologist and Clinical Lead for Rheumatology in the Belfast Health and Social Care Trust. Dr Adrian Pendleton trained in both Rheumatology and General Internal Medicine in Belfast and Nottingham. He was first appointed as a consultant Rheumatologist at the Queens Medical Centre, Nottingham University Hospitals before returning to the Belfast Trust Health and Social care Trust. Dr Pendleton is a Fellow of the Royal College of Physicians of Edinburgh and a Fellow of the Royal College of Physicians of Ireland and a Fellow of the British Society for Sport and Exercise Medicine (BASM). He is currently the Regional Specialty Advisor for Rheumatology with the Joint Royal College Physicians Training Board. 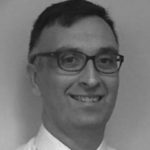 Dr Pendleton has many research interests which include Early diagnosis and management of inflammatory arthritis, use of musculoskeletal ultrasound in Inflammatory arthritis, vasculitis and soft tissue injury. Dr Bryan Whelan is a Consultant Rheumatologist in Our Lady’s Hospital in Manorhmailton, Co Leitrim and an Honourary Senior Lecturer in Medicine in NUIG. He qualified from UCD in 2000 and completed BST in the Mater Hospital in Dublin. He completed SpR training in Rheumatology in CUH, the Mater Hospital and University College London. He has an MD and Masters Sports and Exercise Medicine from UCC and an MSc in Epidemiology from the London School of Hygiene and Tropical Medicine. 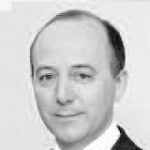 He is currently a board member of Arthritis Ireland, the SUH Research and Education Foundation, a member of the Academic Committee of the FSEM and a member of the Advisory Committee for Human Medicines Clinical Trials Subcommittee of the HPRA. His current research interests include muscle disease, exercise in rheumatology and osteoarthritis. Prof David Kane attended medical school at Trinity College, Dublin, Ireland and was conferred MB BCh BAO BA in 1991, PhD in 2002 and FRCPI in 2006. He has trained in rheumatology with Prof. Barry Bresnihan and Prof. Oliver FitzGerald at St. Vincent’s University Hospital, Dublin, Ireland and with Prof Roger Sturrock, Prof Iain McInnes and Dr Peter Balint at Glasgow Royal Infirmary, Glasgow, United Kingdom. 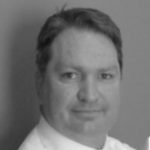 He was appointed as Senior Lecturer in Rheumatology at the University of Newcastle (2003-2005) and is currently working as Consultant Rheumatologist at the Adelaide and Meath Hospital and Clinical Professor in Rheumatology at Trinity College Dublin. His special interests are musculoskeletal ultrasound, spondyloarthopathy and synovial inflammation. 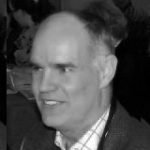 He is a member of the European Working Party on Musculoskeletal Ultrasound and the OMERACT special interest group on musculoskeletal ultrasound, previous organiser of the BSR Musculoskeletal Ultrasound course and is Faculty member of the EULAR Musculoskeletal ultrasound course. He has served as a Board member of the Irish Osteoporosis Society, as Treasurer of the Irish Society for Rheumatology and is currently a Board member of Arthritis Ireland.